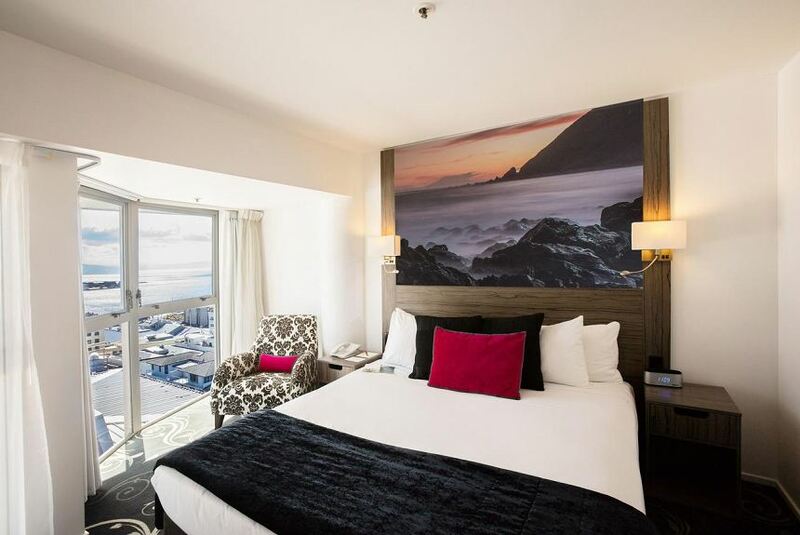 Located in the heart of wellington, Mercure Wellington Central City Hotel and Apartments offer spacious self-contained accommodation. The terrace and Lambton Quay are both within easy walking distance. The bright, modern studios and apartments offer comfortable and stylish furnishings. Each room features a flat-screen TV with satellite channels, work desk, fridge and microwave. The apartments have a separate lounge, dining area and select rooms have a kitchenette or full kitchen and offer stunning harbour. Mercure Wellington Central City Hotel and Apartments provide 24-hour reception service and breakfast can be delivered to your room. Just around the corner is Bistro 169 Restaurant and bar, where you can enjoy a full range of food and beverage offerings. Full charge back to your room can easily be arranged.